"Righteous Saint Joakim, son of Barpathir, was a descendant of King David, to whom God had revealed that from the descendants of his line would be born the Saviour of the world. Righteous Saint Anna was the daughter of Matthan and through her father she was of the tribe of Levi, and through her mother – of the tribe of Judah. The spouses lived at Nazareth in Galilee. They were childless into their old age and all their life they grieved over this. They had to endure derision and scorn, since at that time childlessness was considered a disgrace. But they never grumbled and only but fervently prayed to God, humbly trusting on His will. Once during the time of a great feast, the gifts which Righteous Joakim took to Jerusalem for offering to God were not accepted by the priest Ruben, who considered that a childless man was not worthy to offer sacrifice to God. This pained the old man very much, and he, regarding himself the most sinful of people, decided not to return home, but to settle in solitude in a desolate place. 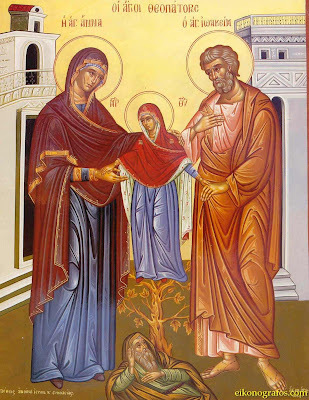 His righteous spouse Anna, having learned, what sort of humiliation her husband had endured, in prayer and fasting began sorrowfully to pray to God for granting her a child. In his desolate solitude and with fasting Righteous Joakim also besought God for this. 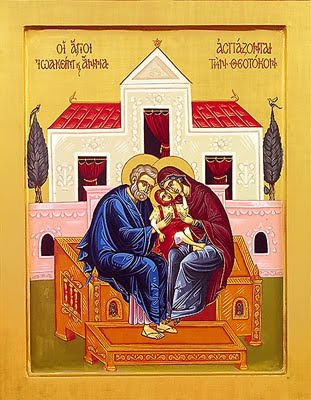 And the prayer of the saintly couple was heard: to both of them an Angel announced, that there would be born of them a Daughter, Who would bless all the race of mankind. 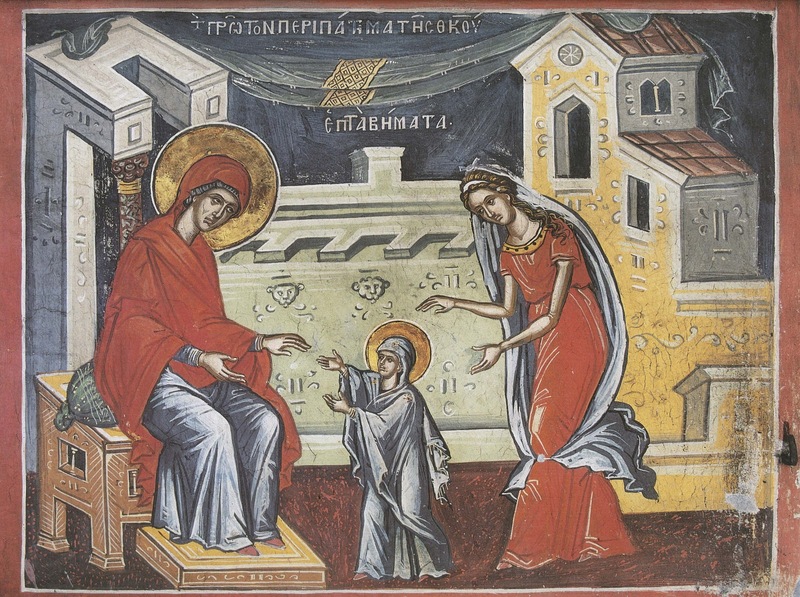 By order of this Heavenly Messenger, Righteous Joakim and Anna met at Jerusalem, where through the promise of God was born to them the Daughter, named Mary. 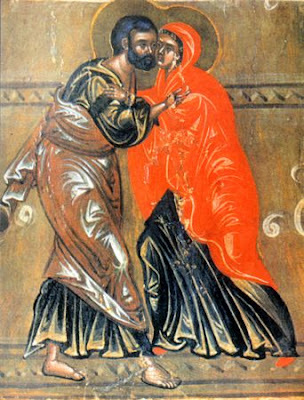 Now Anna is glad, for from the bonds of barrenness hath she been released; and nourishing the all-pure one, she doth summon all together, that they might praise Him Who from her womb hath bestowed upon mortal men the only pure Mother who hath not known man.